So, according to GoodReads I read The Sea of Tranquility back in August 2013, which means that by now I might have forgotten some of the details but there are certain things I remember very clearly. One of these things is the overall beauty of this novel. It’s very slow paced and, just like the title might suggest, it’s very calm. As the story unfolds and the characters start to interact more, you realize that this book doesn’t need action packed scenes or anything like that, just the way it is written and the reader experiences what the characters go through, is more than enough. Because of the slow pace of the book it seems much more real and believable, unlike other books in which everything happens super-fast. Nastya is the type of girl that prefers to keep her struggles and problems to herself, especially by not even talking to everyone around her. No matter how hard others try, she won’t speak, but not because she can’t but rather because she just doesn’t want to. Her past and what has been done to her seems always to linger around the corner as a reminder that this is why she is the way she might be. Yet, despite her desire to be left alone she is a very likable character that seems very real, like someone you might really happen to know one day. And also Josh, the boy that keeps to himself and likes to work in his garage, was a very likable character. I found it very funny to see him try to understand Nastya and how he’s sometimes irritated by her. Also, I just love the cover! I think it’s one of the most beautiful covers I’ve ever seen and it somehow for me also, in a way, mirrors the story itself. I know, this might sound just a little weird, but that’s just my opinion. All in all, if you are looking for a book that is beautifully written and about realistic problems and such, I would definitely recommend you this book. It might be sad and calm, but surely one of the most beautiful books I have ever read. 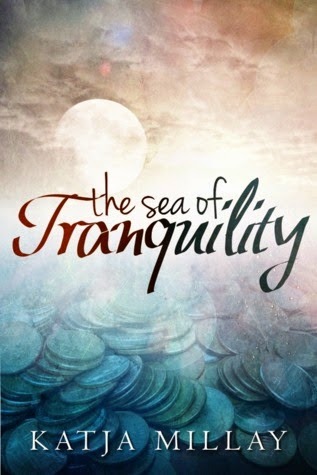 The Sea of Tranquility is a novel full of raw emotions and soulful dialogues. It touches your deepest emotions and might break you, just a bit, yet at the same time it will help you heal. The Sea of Tranquility is one of those books that reminded me that books aren’t just here to entertain us, but that there is something more to them. Something that reaches deep inside of you, it touches your soul, while almost becoming a tiny part of you. I was thinking about this book for a long time, I mean it’s been over half a year since I read it and it is still on my mind at times. It’s a book you will not forget. If I could I would give it at least 10 stars, but that isn’t possible, and so I give it 5 out of 5 stars.